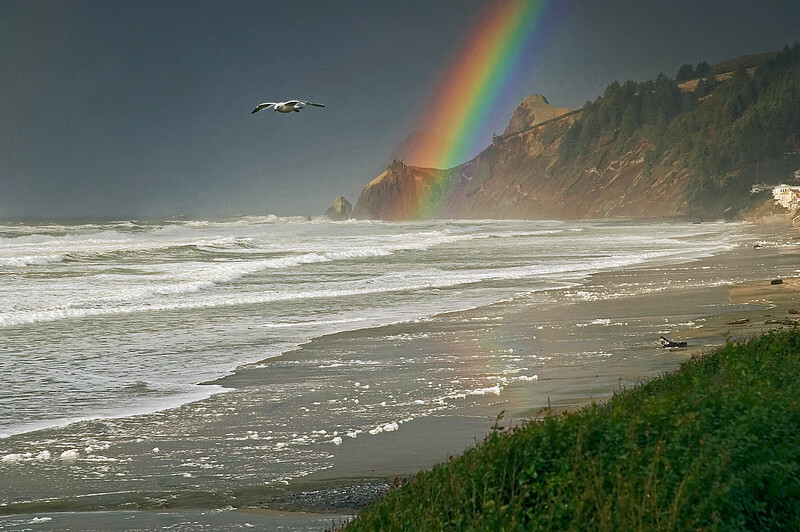 A beautiful double rainbow formed on the coast within 10 minutes of a rainshower hitting the beach. This is the last photo of the set taken as the rainbow was just starting to fade. A very nice New Year's treat on the Oregon Coast!